Gary Potter has been a Catholic journalist and writer of the first rank for over fifty years. As a convert to the Faith during the 1960s, (that time of revolutionary turmoil in the Church and the world), he developed a unique perspective on the Church in the 20th century that has matured over the years into a deep and penetrating vision of our times and the place of the Church and the Faith in the politics of our age. 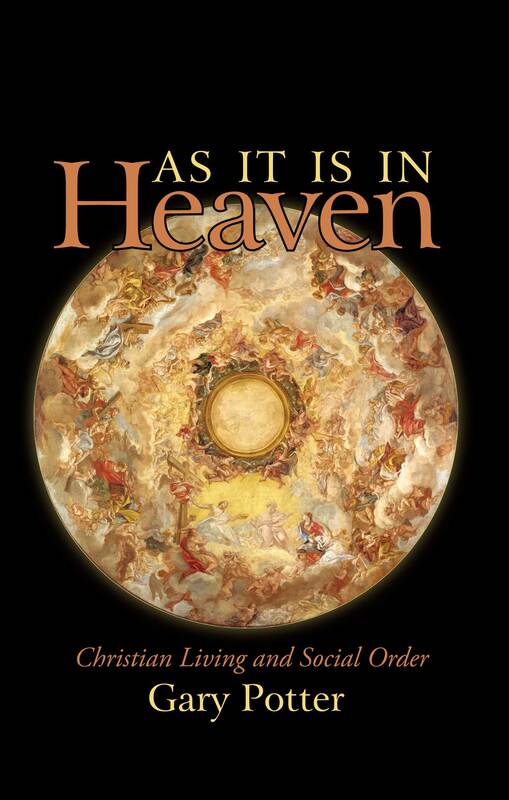 As it is in Heaven is all about Christian politics. It contains Mr. Potter’s summation of that common worldview that was held by the men who built that civilization known as Christendom during the ages of Faith in the Christian West. He observes its disappearance and describes the effects of its absence on the life of men in our day. He proposes that it will one day be revived in a fashion suitable to modern times. This extended essay encourages Catholics to face reality in the murky spiritual darkness of our present century. That means that it is also a message of light and hope. Do not be mistaken, Mr. Potter is no silly optimist or clueless observer. He knows the darkness and the dangers as clearly as any living writer, but he is a Catholic through and through, and his judgments are sound and realistic. Catholic realism! A realistic outlook can only come to a Catholic who believes and who tries to live according to that belief. The strength to face reality and to deal with it courageously is what is most necessary to men who wish to truly live—not just pass through this world—and to fight manfully for truth and goodness and beauty during this short pilgrimage that is life on earth. 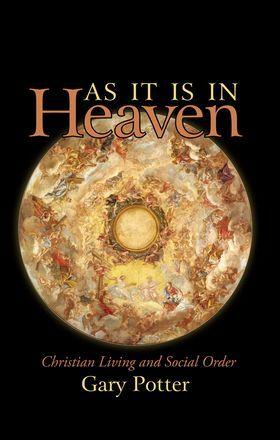 On Earth, as it is in Heaven is part of the daily prayer of every Catholic, indeed it is also the daily prayer of many who loosely adhere to certain Christian principles, even though they do not yet belong to God’s Church and are therefore far behind on their road to salvation. The subtitle of the book (Christian Living and Social Order) clarifies the challenge. Let us hope and pray that this challenge to live this life as if God really mattered, is heard not only by weak and confused Catholics, but also by all men, who in any way desire to live a virtuous life, make this world a better place in which to live, and to give glory to God by doing His will ON EARTH, as it is already done in Heaven.